Librarians take pride in assisting all users who come through their doors, even as these “doors” have become increasingly virtual. Although many people still visit libraries in person, it is now commonplace for users to access databases and ebooks through a library’s website or through e-readers. Some of those patrons have visual impairments and require specific support to make full use of a library’s online resources. Providing this support in user-centered and responsive ways fulfills the librarian’s obligation to offer service to all users. However, paying attention to accessibility for visually impaired patrons is not just the right thing to do. It may also protect your library from legal trouble. In 2012 the National Federation of the Blind (NFB) sued the Free Library of Philadelphia on behalf of four blind patrons who were unable to use noncompliant Nook e-readers provided by the library. To settle that suit, the library agreed to purchase 10 new accessible e-readers and to ensure that all its e-readers were accessible within four years. In recent years, legal challenges have expanded to include websites. Several retailers and banks have faced class-action suits because their websites were not fully accessible to individuals with visual disabilities, thus violating the Americans with Disabilities Act (ADA). The ADA, signed in 1990 and significantly amended in 2010, is the main US law that seeks to grant equal treatment of Americans with disabilities in all aspects of their lives. The NFB lawsuit also claimed violations of the Rehabilitation Act of 1973, another federal law. Section 504 of the act prevents any organization that receives federal funding from discriminating against people with disabilities. This provision was core to the NFB lawsuit, as the Free Library receives federal assistance. In addition, Section 508 ensures that federal agencies provide the same level of access to online information to all people, regardless of disability. Neither the ADA nor the Rehabilitation Act explicitly addresses how entities should provide equal access to their websites, but other organizations have stepped up. The World Wide Web Consortium’s (W3C) Web Content Accessibility Guidelines 2.0 is the leading document that informs organizations of the relevant standards for making websites compliant. Although these guidelines don’t have the power of law, attorneys and judges have referred to them during legal proceedings. In 2009 the American Library Association (ALA) Council passed a resolution entitled “Purchasing of Accessible Electronic Resources.” It encourages librarians to require that their vendors provide accessible products, specifically those that meet the standards of Section 508 as well as the Web Content Accessibility Guidelines. ALA’s Association of Specialized and Cooperative Library Agencies offers a toolkit of questions that librarians can ask their vendors regarding their compliance with these standards. 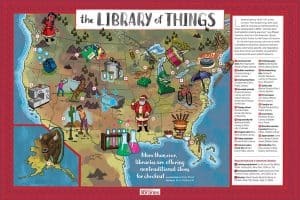 As more librarians design their library’s sites with off-the-shelf content management systems, they can take several straightforward steps to improve accessibility, such as including text that describes the content of all images, avoiding tiny fonts, using simple and economical language, and developing scripts that describe the contents of videos. Many more tips are available from the University of Washington’s Alliance for Access to Computing Careers. Per the ALA resolution, librarians should also advocate that any products provided by vendors have the same level of functionality as any materials produced by the library itself. Given the importance of providing accessibility to library resources for all patrons, as well as the availability of best practices, it is not surprising to find that librarians are meeting this challenge. Joan Lefkowitz, web services manager for San Francisco Public Library (SFPL), emphasizes that her library strives to “meet the current version of the W3C Web Content Accessibility Guidelines.” This means that, among other things, users should be able to easily navigate the SFPL site using various screen readers, that is, software specifically designed to provide web content to people with visual disabilities. Videos should be sufficiently captioned, she says, and “a user should be able to navigate our site using a keyboard and no mouse.” SFPL works toward compliance with these standards using screen reader and keyboard-only testing with both sighted and visually impaired staff members. 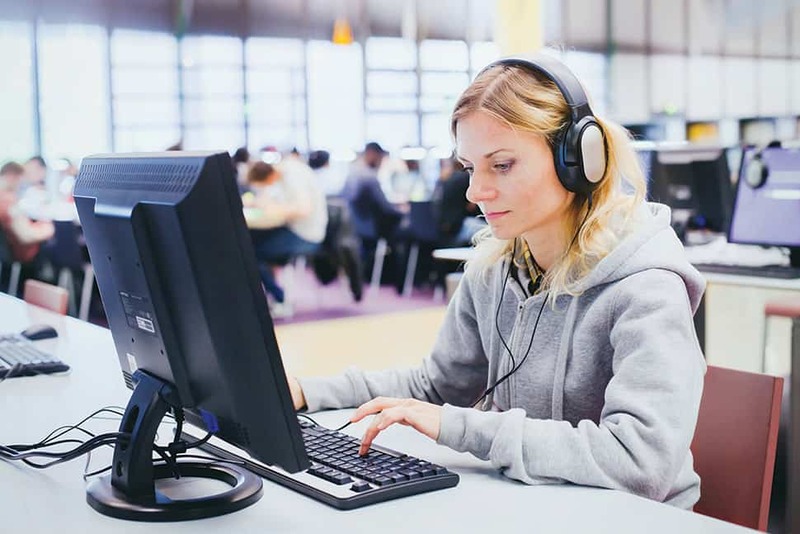 The library also contracts with local nonprofit Center for Accessible Technology to conduct additional usability testing and provide a road map for maintaining accessible resources over time. Lefkowitz notes that SFPL staffers push vendors to meet these same standards. Over the course of 20 years, Karen Russ, the research and community engagement librarian at University of Arkansas at Little Rock (UALR) Ottenheimer Library, has developed a strong protocol for using screen readers to evaluate the usability of the library’s own website as well as the sites of all library-subscribed databases. These tests occur in partnership with UALR’s Disability Resource Center. Russ and her colleagues regularly urge database vendors to adopt best practices for serving patrons who are visually impaired, such as those proposed by the Alliance for Access to Computing Careers. Russ often gets database vendors to fix any issues by the next release, in no small part because she says she puts up “a strong fight” to prevent the library from licensing any product that does not offer equivalent functionality to visually impaired patrons. As a complement to her efforts, Russ has joined the Association on Higher Education and Disability (AHEAD) and encourages other librarians to do the same. One direct and immediate benefit of joining AHEAD is access to online webinars, including those on improving support for students with visual impairments. Russ says her participation in AHEAD led to interesting discussions about how the disability offices can work with their libraries and spurred several service improvements at UALR, such as establishing a library liaison to the disability office and improving options for visually impaired students who want to read ebooks. At one point, hard copy books were transmitted to disk for these students, which was a time-consuming process. Today convenient and usable e-readers are readily available. 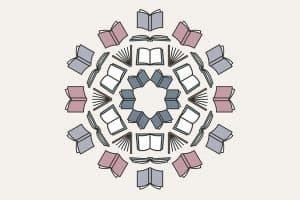 One common thread between SFPL and UALR’s experience is the connection to like-minded groups—a local nonprofit for SFPL, a professional association for UALR. Libraries looking to improve their support for patrons with visual impairments might find allies and experts to collaborate with. A wealth of information is available about simple steps libraries can take that will have a positive impact and keep your online resources accessible to all.